Who's Your Daddy? 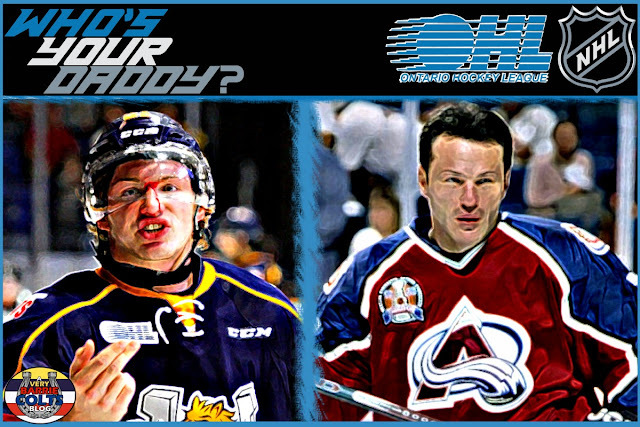 The Lemieuxs by @ChicksDigHockey and @ryannoble66 - Very Barrie Colts | A website covering the Barrie Colts of the OHL. This is the second post in a series looking at OHL players with fathers who played in the NHL. We're exploring the similarities and differences in hockey fathers and sons. Does the apple ever fall far from the tree? 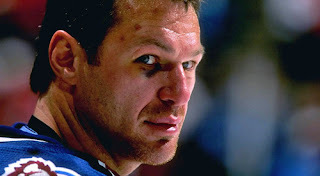 Claude Lemieux can be summed up as the perfect hockey agitator. He made a career out of being the guy you loved to have on your team but hated to play against. His son, Brendan has, at 19 yrs old, shown not only can he score but he can get under his opponent’s skin as well. Not a perfect agitator but certainly a top-notch apprentice. The elder Lemieux, a right winger, was a clutch player with a penchant for scoring in the playoffs. His career spanned 1982-2009 and he remains one of five players in league history to have won the cup with three different teams. His playoff stats continue to be some of the most impressive to this day. He had 80 goals and 78 assists for 158 points in 233 Stanley Cup playoff games. 19 of those were playoff game-winning goals and he remains third overall, five behind all-time leaders Wayne Gretzky and Brett Hull. While you can’t deny Claude Lemieux’s playoff game prowess, you can also make an argument for him being one of the dirtiest to ever play the game. His story is riddled with tales of slew-footing, sticks to the groin and countless sucker punches. 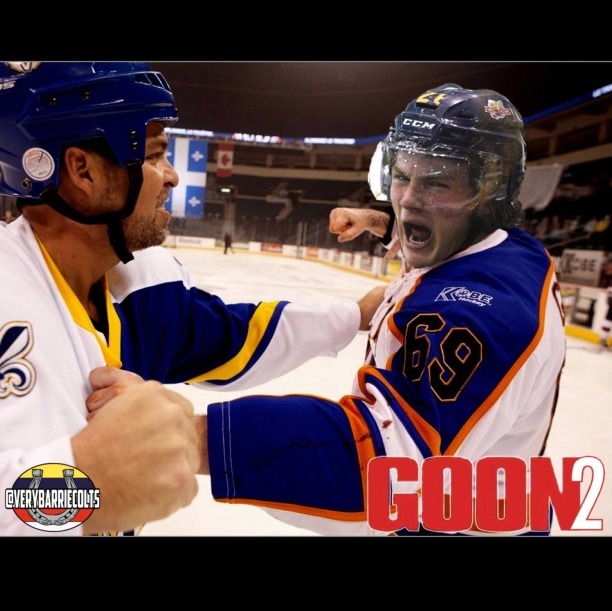 Of all the dirty deeds he committed on the ice, the one he is infamous for, was the hit he put on Kris Draper in 1996. It was game 6 of the Western Conference finals featuring Lemieux’s Avalanche and Draper’s Wings. Lemieux leveled Draper from behind sending Draper’s face crashing into the boards. Draper was left with a fractured upper jaw, cheekbone and nose. The inside of his mouth was lacerated requiring 30 stitches. What some people characterize as dirty play, others defend as passion and a willingness to do whatever it takes to win. 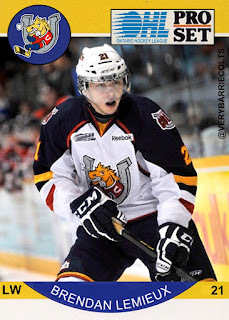 Brendan Lemieux has 2 50+ point seasons with the Barrie Colts. The 6’1” left winger was selected 31st overall at the NHL Entry Draft by the Buffalo Sabers. 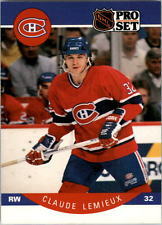 Many were surprised he fell to the second round, including young Lemieux himself. Earlier this year, Brendan was traded to Winnipeg in the deal that sent Evander Kane to Buffalo. It has been speculated that the reason Lemieux was included in the trade was that, on the advice of his agent…..his father, Claude…..he refused to sign with the Sabers. That’s of little consequence now, as young Lemieux of the Barrie Colts, has been suspended indefinitely by the OHL. He landed a brutal hit to the head of Owen Sound Attack forward Keenan Reynolds that knocked the latter out of the game. The hit was high, late and Lemieux’s skates left the ice. The torch has been passed. The problem is, Brendan is playing in a different NHL than his father did. Deliberate hits with intent to hurt won’t be tolerated. Lemieux needs to find a way to keep his game but just not let his emotions get the best of him. Is it really in Brendan’s best interest for his infamous father to represent him or would he be better served by someone who will sit him down and advise him to clean his game up? Brendan, who had scored 25 power play goals in 57 games last season, is eligible to return Sunday in North Bay against the Battalion. Hopefully, he'll make his biggest impact with his stick.